Commit to clean data for more accurate predictions. No excuses! We all know it, but what do we do about it? Clean data is the foundation of any robust and accurate predictive analytics initiative. But data never arrives in its desired format for analysis; instead, it is often inconsistent, incomplete, and needs to be transformed and combined to meet specific standards. In addition, building predictive models is often a time-consuming and complex process. Committing to clean data for more accurate predictions means committing to data preparation and automated machine learning for business users. Waterline Data, Trifacta, and DataRobot can help. Arindam is a Business Leader with extensive experience in the financial services industry. His current charter is to lead Capgemini’s Big Data Practice for Financial Services. As a hands-on leader, he excels at conceptualizing, creating and delivering transformation solutions for his clients that leverage advances in Big Data &amp; Analytics. He believes that Data and Analytics drives Digital Transformation and evangelize this belief to his clients, both internal and external. 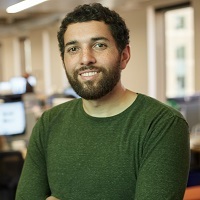 Alex Gorelik is the founder and CTO of Waterline Data, his 3rd start-up. He is also a thought leader and a published author. Prior to Waterline Data, Alex served as General Manager of Informatica’s Data Quality Business Unit, driving Marketing, Product Management and R&D for an $80M business. Alex joined Informatica from IBM, where he was an IBM Distinguished Engineer for the Information Integration team. IBM acquired Alex’s second startup, Exeros, where he was founder, CTO and VP of Engineering. Alex holds a B.S. in Computer Science from Columbia University School of Engineering and a M.S. in Computer Science from Stanford University. Sean is Trifacta’s Chief Technical Officer and Co-founder. He completed his Ph.D. at Stanford University, where his research focused on user interfaces for database systems. At Stanford, Sean led development of new tools for data transformation and discovery, such as Data Wrangler. He previously worked as a data analyst at Citadel Investment Group. H.P. Bunaes leads the banking practice at DataRobot, helping banks leverage AI and machine learning for predictive analytics and data mining. H.P. 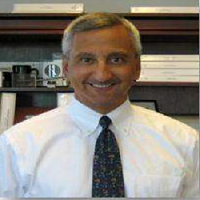 has 35 years of experience in banking, with broad banking domain knowledge and deep expertise in data and analytics. Prior to joining DataRobot, H.P. held a variety of leadership positions at SunTrust Banks, initially leading the design and development of the risk data and analytics platform used enterprise wide for risk management. 3:10 PM – 4:30 PM Why clean data is important to avoid “garbage in, garbage out”, and how to get to clean data fast and easy? Reserve Your Spot – Register Now!